Gold prices downshifted on Wednesday and Thursday as the U.S. dollar and equity markets remained strong. Traditionally, gold prices are negatively correlated with the dollar, so as the dollar rises, the yellow metal slumps. 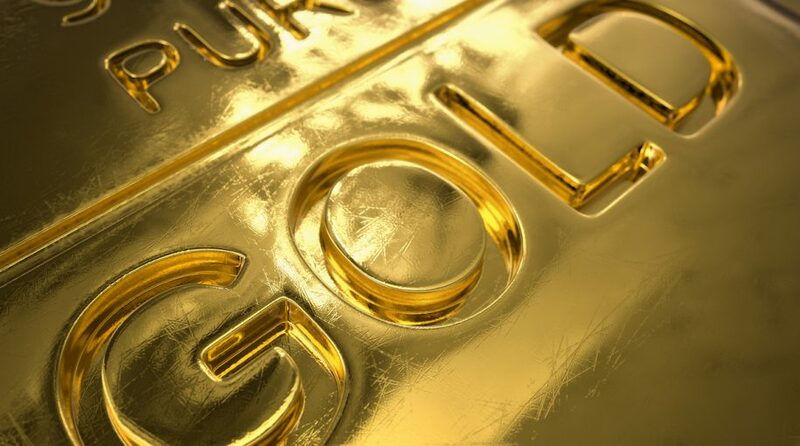 That negative correlation snapped briefly earlier this year, and although it looks like it’s back in place now, Bank of America Merrill Lynch analysts suggest gold prices could be driven by a different catalyst in the near term. Analysts Michael Jalonen and Lawson Winder said in a note earlier this week that Federal Reserve Chairman Jerome Powell‘s “pivot” toward a more dovish view should be good for gold. The Fed has signaled that it won’t raise interest rates any more the rest of the year. This dovish tilt was further evidenced this month by the removal of rate hikes from the Fed’s dot plots. However, Jalonen and Winder also called attention to another note from another set of BofAML analysts, who believe the more significant Fed commentary focused on quantitative tightening. The U.S. central bank plans to finish tapering its balance sheet by September, holding the total size above $3.5 trillion. Jalonen and Winder said their colleagues’ views on the latest round of Fed commentary should all be good news for gold prices because bullion usually doesn’t do well when interest rates are on the rise. They also said that this view backs up their expectation of gold prices hitting $1,400 an ounce some time in the fourth quarter. President Trump’s pick to join the Federal Reserve seems to be even more dovish than current Fed policymakers. Stephen Moore has been nominated for a governorship, and although he is far from actually securing that position, he has called for the Fed to cut rates by 50 basis points immediately. Of course, that would also be positive for gold, but even if he is confirmed, he still would be only one vote of several policymakers. Where are gold prices heading next? At this point, BofAML expects bullion to increase 3% year over year, averaging $1,296 an ounce this year and $1,350 an ounce in the fourth quarter. INTL FCStone analysts said in a recent note seen by CNBC that they are cautiously optimistic on bullion. They predict a selloff among those who are long on the metal if prices move much more above $1,300. As of now, the yellow metal is holding on to the key technical level of $1,300 an ounce, although it did dip below that level temporarily in early trading on Thursday. Kitco technicians peg the next technical level for April futures prices above $1,324.50, which was this week’s high. The site added that bulls remain in control for now, but bears are starting to wrest some of that control away. For bears to take further control over the yellow metal, prices would need to fall under this month’s low at $1,280.80. Within the mining industry, BofAML analysts also addressed precious metal stocks. Jalonen and Winder project higher free cash flow within the industry this year, which should boost valuations in the mining sector. In fact, they expect free cash flow in the precious metals industry to almost quadruple year over year in aggregate, reaching $3.8 billion this year. They expect “senior gold producers” and precious metal streaming companies to contribute 58% and 37% of total free cash flow this year, respectively. If gold does average $1,296 an ounce this year like they expect, they see several companies generating more than $500 million in free cash flow this year. They include Newmont Mining, Barrick Gold, Wheaton Precious Metals and Franco Nevada. Higher free cash flow should not only boost valuations in the metals and mining sector but also enable companies to speed up their debt repayments, boost or begin dividends, repurchase shares, pursue M&A opportunities or push forward current development projects.